Indian Navy's INS Sahyadri, a Shivalik class guided missile stealth frigate with 6,200-t displacement arrived in Honolulu recently to participate in RIMPAC-14, which kicked off today and will wind up on August 2, 2014. 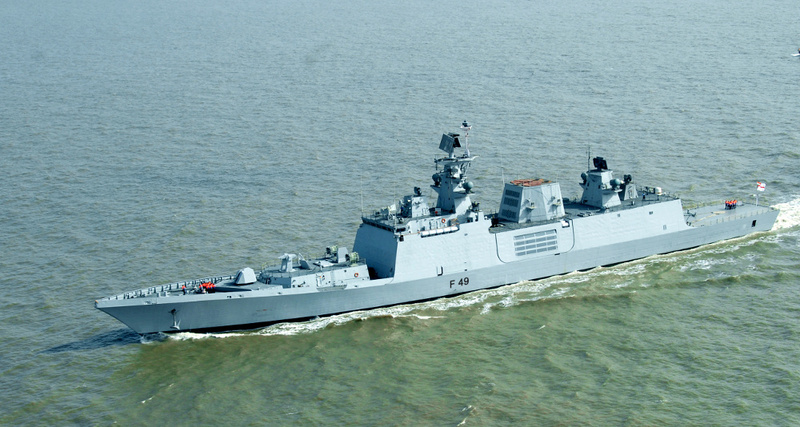 The Indian Navy is participating in the exercise for the first time with one ship. Other countries participating are Australia, Brunei, Canada, Chile, China, Colombia, France,Indonesia, Japan, Malaysia, Mexico, Netherlands, New Zealand, Norway, Peru, the Philippines, Singapore, South Korea, Tonga, the United Kingdom, and the United States. INS Sahyadri arrived at Pearl Harbor after sailing over 5,000-nm, stopping en-route at Darwin, Australia on June 13 and 14. Rim of Pacific (RIMPAC) is a US led exercise held biennially during June and July of even-numbered years from Honolulu, Hawaii. RIMPAC has 23 member countries from the Pacific Rim and beyond, and 3 observer nations. The exercise consists of a harbor phase involving professional interactions, military symposiums, sports events and social fixtures; followed by a Sea Phase, that covers the entire gamut of maritime operations including anti-surface, anti-submarine, anti-air and Carrier Strike Group operations.